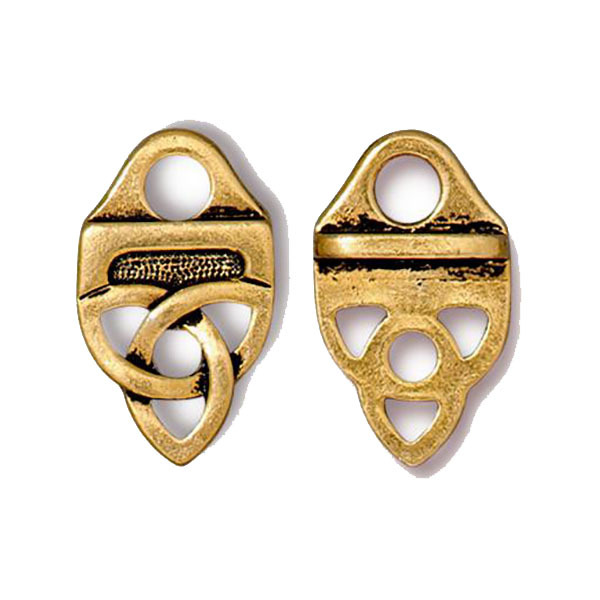 Use this TierraCast Celtic Pattern End Link in 22kt Gold Plated Pewter wherever you want to end a leather strap or ribbon. It measures 18.7mm from end to end with a height of 11mm. The hole inside the link measures 2.5 and the loop hole is 3.25mm. The Celtic Pattern is very popular with the leather jewelry. The picture shows the front and back of one piece.